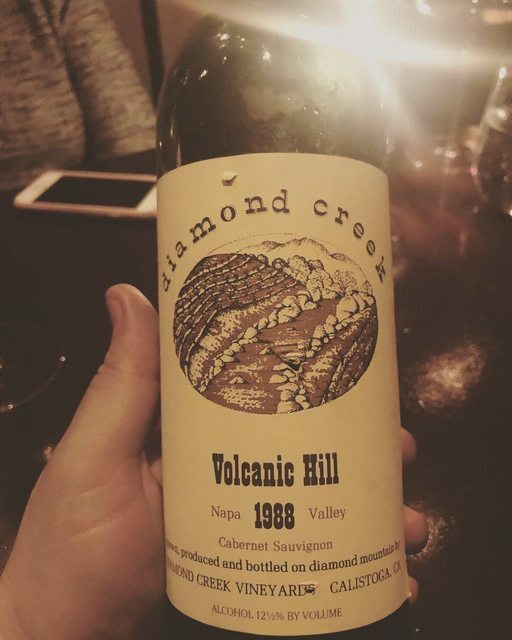 How was that ‘88 Diamond Creek? I got a $100 off $300 or more from wine.com so spent it on a bottle of 2016 Schrader CCS Beckstoffer To Kalon Cabernet to cellar. The Diamond Creek is absolutely incredible, that and the Mugneret Gibourg were the best wines of the week. Still a ton of fruit left, great structure. wes tegg and pperc15 like this. Have become more involved in the auction market this year, mainly because I decided that this would be the year I nailed down classic reference point wines from the most prestigious regions in the world. Last week was my 30th birthday and we decided to cut some of those bottles loose for the celebration. I Volnay. Coincidentally I was there (and walked Clos Vougeot) in 2013. Our driver got stung by a bee and drove her van in to a short wall in Volnay vineyards. We had to go down the hill to Pommard to change the tire. We did randomly come across this in Pommard which was cool. Menelaus, IanC, Yung/Embree and 1 other person like this. It's amazing there. My wife and I spent our honeymoon last May in Beaune and Rully. Yeah, we stayed at Le Cep in Beaune. Awesome village to walk around. I have one. They work great and perfect for what you describe. The little tanks are expensive but it is what it is. Bed bath and beyond had them on sale at a better price a few weeks ago. thanks. do you have the 1 or 2 (or one of the newer ones?) Amazon reviews say the 1 was actually better than the 2 but the 2 looks nicer. model 1 looks like some kind of massage tool. also heard that about the tanks that they last maybe 3-4 bottles tops. So will probably grab a few extra from BB&B to make the gift multi-piece instead of just one thing and probably some decent glasses. Makes sense to do that for them. They are pricey tanks. I have model 2. My boss who is a wine guy suggested the model 2. Drinking a 2007 Oliverhill Petite Sirah. Really into Aussie wines lately and this has been real nice and has improved after about 2.5 hours in the decanter. What’s a cool winery I should check out near San Jose? Get up to Ridge at Monte Bello in the Santa Cruz Mountains, without doubt. Probably have to make an appointment. I’ll try and get there at some point. I was more near Livermore Valley. Have a project going on in Tracy so I fly in and out of San Jose. Had no idea there was a wine country there until I drove through it. Beef Bourguignon with 2008 Clos Baulet 1er Cru from Morey-St. Denis by Hubert Lignier. HunterPKP, DayDomination, Menelaus and 10 others like this. Love me some Hubert Lignier! Any recs between Santa Rosa and Healdsburg? Will have a car so will limit us to two wineries on the drive and will then uber from Healdsburg to any others close. Anyone signed up for Somm Select? Just joined the email list and thinking of building a case over the next couple weeks. Downtown Healdsburg has dozens of wineries within walking distance. It's a great little area. When I go up for barrel tasting every year we spend Friday in Healdsburg, so you shouldn't feel guilty about spending the full day there. If you want to hit a cool spot on the way there, I'd go to Armida. It's beautiful, they're super chill, and the wine is good. Then head to Healdsburg, hit a winery, get lunch at Healsburg Bar and Grill or Bear Republic and have a beer break, then walk around the square and hit wineries until the evening. There's plenty of Pinot all over the dry creek, so you don't have to worry about finding that. I can make recs as needed though. I've been signed up for a while but really only purchased two offers. Most of the prices are actually more expensive than what I can find locally, though the off and on library release can be intriguing. You can find the same bottles locally? 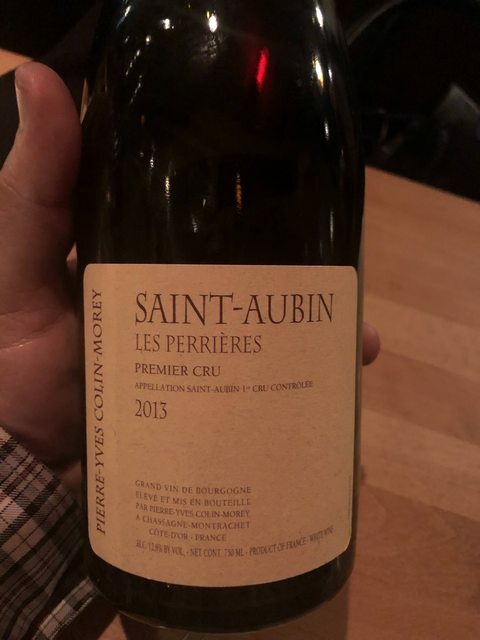 I just have no idea what I'm doing with French wines and a friend of mine brought a bunch of Somm Select wines to New Years and they were really good. I like the descriptions thus far so good for information purposes at a minimum. MODEVIL, Menelaus and Fast Eddie like this. here's our daily "house wine"
Haden Fig Pinot - we prefer the Bjornson vineyard stuff but the Willamette is obv very good as well. Found it via SommSelect and now we just buy it direct for less. 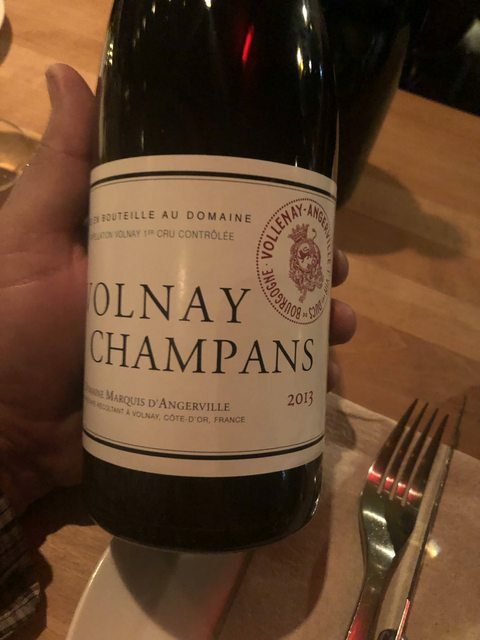 That's another thing SommSelect is great for - once you find one you like - a lot of the time you can find it direct or via retail at a competitive price. 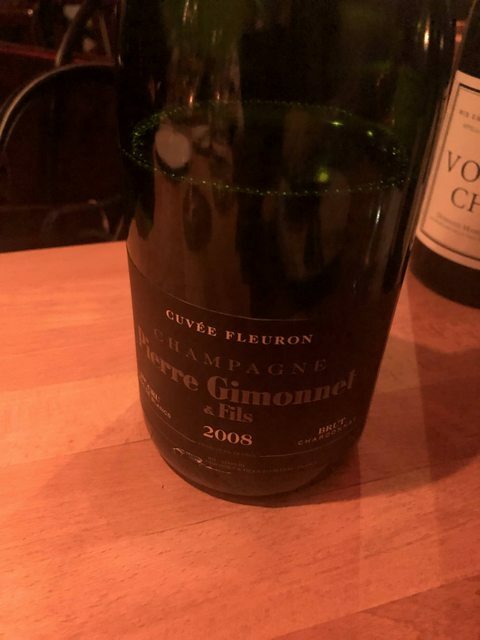 Ian who runs the site isn't trying to sell you every wine for less - he's trying to introduce you to new stuff and new places and you can see if you like it - that's what a Somm should be doing at a great restaurant. MODEVIL and Trop like this. Proper Claret is a great wine. If anyone is looking for great wines at great prices, check out anything by Tensley/Joey Tensley. CoastalOrange and Trop like this. Many of them, yes. Except for the times when it comes from private cellars or direct from the winery, I can find the bottles in NYC pretty easily. They buy the majority of their wines from wholesalers just like most retailers. It’s like the food I grew up on but prepared better with better wine. 2009 Quilceda Creek. Nole0515, sem, Yung/Embree and 8 others like this. Instead of just sitting on them, I’m trying to drink more of my bottles with age on them. 2007 Mastrojanni-Brunello di Montalcino. It was a place we visited on our honeymoon. buy_dont_lease and DistantFactor like this. How was the Brunello, those might be my favorite Italian expressions. It was really good. I feel like Brunello can be anywhere from Pinot to Cab in terms of expression and this seemed Burgundian. The variance can be high but I love a really nice Brunello. buy_dont_lease, Fast Eddie and DistantFactor like this. The variety is kind of why I love it. Not always having a bottle nailed from when I open it, but still enjoying it is nice. Rabid and Fast Eddie like this. Public Service Announcement: Gramercy Cellars is really good. Sammy Meatballs, DistantFactor, MODEVIL and 3 others like this. Last night I tried one or the Full Pull house wines for the first time. Block Wines Stoney Vine syrah. 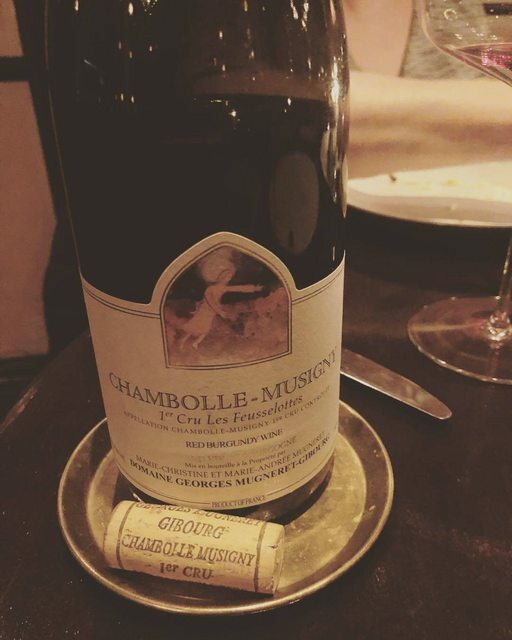 I thought it was awesome, best wine I've had the past few months. Going to have to increase my purchases of that one this year. Now if I could just get my wife to enjoy wines with more funky / savory characteristics I'd be all set. Had the 2017 Pax Sonoma Hillsides Syrah the other night and I gotta say, if you're someone looking for a ton of flavor without excess alcohol and overwrought extraction, it's lights out. Plus, you can still buy a bottle for $50 and either drink it on the spot or age it. Not too many of those wines left at that price point unfortunately. Gramercy Cellars and Mark Ryan have the best rhone varietals in Washington imvho. I'm a big fan of Reynvaan and Rotie Cellars as well. Menelaus and Vito Corleone like this. So planning a trip out to Sonoma or Napa here in a couple months and to be honest am pretty overwhelmed at the number of options. I'm not a big wine drinker so that doesn't help things. Have heard from a couple friends that Healdsburg is a solid spot to stay so we are leaning towards that now. Will be flying in/out of SFO and have basically 2.5 days. Any places that are must visits? Also, how many places do you guys recommend hitting each day? Don't want to feel rushed, but also want to make sure we see and taste some different varieties. CoastalOrange and momux like this. Shafer One Point Five is my favorite Cabernet. Stags Leap Wine Cellars FAY up there as well. Heitz and Duckhorn great for the 48-60 range. Fast Eddie, SmoochieWallace, Menelaus and 2 others like this. The Pride Cab Franc is my go to for that varietal. Haven't had that one. Thanks for the reco. Anyone have any thoughts on the Horsepower wines? Received an offer, trying to decide what to do. I’ve loved every wine I have tasted from the rocks, but haven’t made it to any of the big dogs yet (Cayuse, reynvaan, etc.). I buy Rotie, Proper, Result of a Crush, and Gramercy (not rocks but still) consistently and have a few bottles from Reynvaan, Delmas, and Saviah in my cellar. Would Horsepower add anything different? Or am I pretty well covered with what I have since these wines aren’t something most would drink every night? I’m not interested in chasing labels, just what’s inside the bottle. I would say HorsePower is a more concentrated, bigger Cayuse. I’ve been on the HP list since it started and I’m honestly not sure what I think yet. The wines are really tightly wound and need time. There is a lot going on but I’m not sure if I like the flavor profile of what I’ve had. Really dark, funky, meaty and almost overpowering in terms of so much flavor and umami. At this point I definitely prefer Gramercy, Cayuse and Rotie/Proper and Reynvaan but I’m not sure what HP will be with more age. Out of curiosity what did they offer you? I dropped the Grenache and picked up the new High Contrast Vineyard Syrah this year in addition to getting the Tribe & Sur Echalas. coincidentally I’m drinking Reynvaan tonight. The offer was a three pack each, Tribe and High Contrast. I am not planning to take both, if any. Not particularly interested in the Grenache anyway. I’ve read similar notes to what you say about Horsepower. 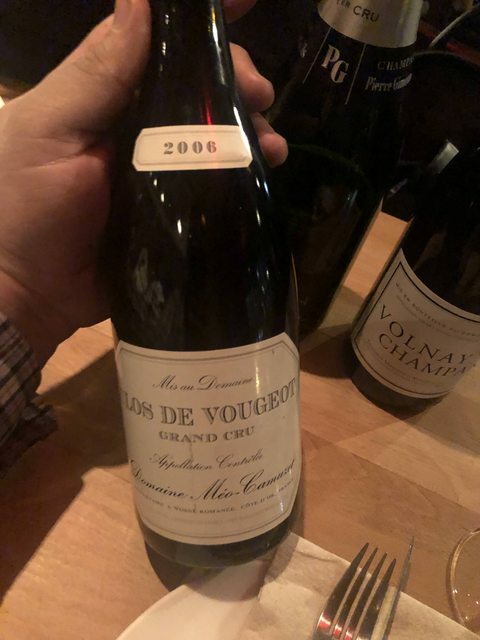 The meaty, fatty stuff and salinity of some of those other wines are what I enjoy the most and I don’t mind laying them down, but this is venturing out of my typical price point and it seems risky since there isn’t as much track record on what these become. At this point I guess I may be better off trying to track down a bottle with some age on it whether or not I take part of the allocation this year to decide on whether to continue purchasing and invest in multiple vintages. When do you have to decide by? I'd imagine shipping is going to be difficult until next month.